The Save the Tigris Campaign continues to work and campaign for the Iraqi Marshes. 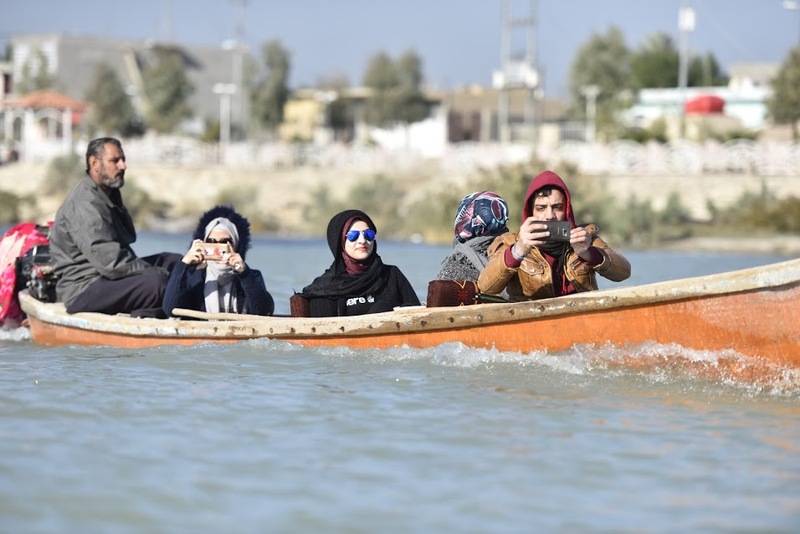 This time an activity took place in the heart of the Iraqi Marshlands at Chibayish, where a camp was organized, now an annual tradition of the campaign. 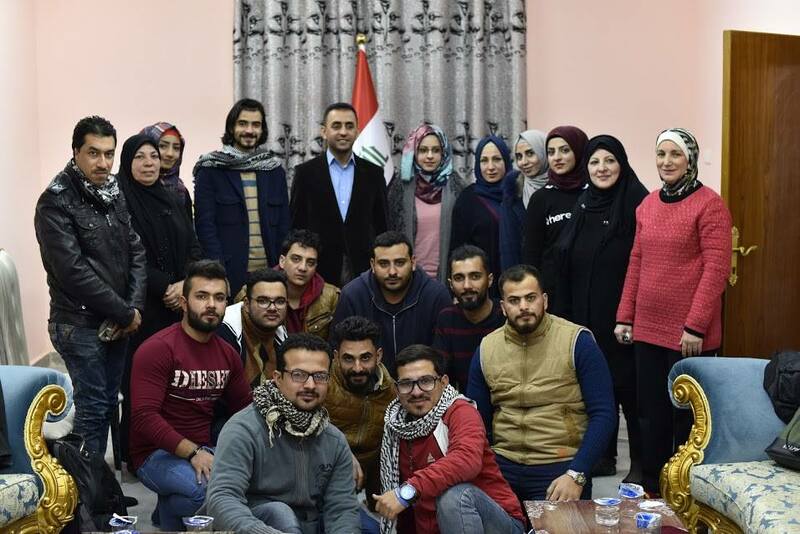 It included 20 young, male and female water and environmental activists from Baghdad, Nasiriyah and Misan. The team members met in the Marshes of Chibayish. In addition, they participated in the “I love the Dhi Qar” festival and visited the ancient city of Ur. Lasting for three days, the camp started on Thursday 8th of December, focusing on the most important developments and achievements since the Marshes have been inscribed in the UNESCO World Heritage List. It seems the implementation of the recommendations of UNESCO is only evolving slowly since there has not been any movement on the side from the parties involved. This means Iraq could run the risk of seeing the Marshes file removed from the World Heritage List, at least if they continue to deal with the recommendations at this pace. The camp was hosted by Dr. Badie Al-Khaion, the Mayor of Chibayish, in addition to Nature Iraq. The team of Save the Tigris Campaign had a discussion with Dr. Badie Al-Khaion regarding the most important developments in the recovery of the Marshes and other sites listed, in the framework of the World Heritage Committee recommendations. Dr. Badie mentioned the file of the Marshes is experiencing a delay in the implementations which that could jeopardize its inscription during an assessment visit by a UNESCO committee in the middle of next year. During the camp the issue of over-fishing was discussed, which has a huge impact on the biodiversity of the area and has caused environmental damage. Fishing in large quantities with the use of electrified nets has lead to scarcity of many particular fish species, in addition to the lack of overall quantity of fish and high rates of environmental pollution caused by throwing dead fish back into the Marshes. Another issue of the youth camp was the continued construction of upstream dams on the Tigris and Euphrates Rivers. One of the locals recalled his experience migrating from the Marshes several years ago when the water levels had decreased enormously. The life of the Marsh dwellers relies entirely on the water levels, to move their boats (Al-Shakhtorah), graze their livestock and to fish. The threat of decreasing water levels is imminent in the whole region, especially with the continued construction of Ilisu Dam next year which would certainly affect the water levels of the Tigris River, hereby damaging the Marshlands. Dr. Dadie Al-Khaion stressed that Iraq should negotiate with Turkey over water shares, in order to avert any disaster. The camp was an excellent opportunity for water and environmental activists from Baghdad to connect with the reality of indigenous life in the southern regions of Iraq, which is the richest in terms of biodiversity. The Save the Tigris Campaign calls for joint cooperation between all civil society actors, media and government institutions concerned with the recovery of environmental life in the whole of Iraq, to preserve the water sources which form the present and future of the country, and to engage in global action against the negative impacts of climate change.